2014 has been a very eventful year for The Flying Engineer. The year has witnessed The Flying Engineer going beyond the technical – into airline performance, strategy, and people. The belief is that a strong technical background and understanding provide the ideal platform to analyse how an asset is used, in an airline. In short, there has been a growth into the airline segment as well – operational analysis, and the people who run it. In calendar year 2014, The Flying Engineer was fortunate to make inroads into the Indian airline industry, at levels and scales that were unimagined. Owing to its content, The Flying Engineer has been contacted by airline C-level officers, from both established and start-up airlines in India, overseas leasing company C-level officers, domestic airline investors, airline IT solutions providers, training institutes, aerospace companies and the national media – to throw light into the world of Indian aviation. Consultancy has been a new-found, although fledgling activity. Numerous exercises in this field, involving the processing of publicly available data, with inputs from numerous seasoned, established professionals in the field, have sparked interest in a field that seems like the perfect blend of a technical understanding and analysis – The Flying Engineer’s forte – Corporate Planning and Strategy. In short, The Flying Engineer is no longer only about airliners, systems, training, and safety. The Flying Engineer is also about airlines, network, strategy, service, analysis, and people at the helm of affairs. 2014 also witnessed The Flying Engineer contributing to ‘Cruising Heights’ – a magazine The Flying Engineer believes in, for many reasons. 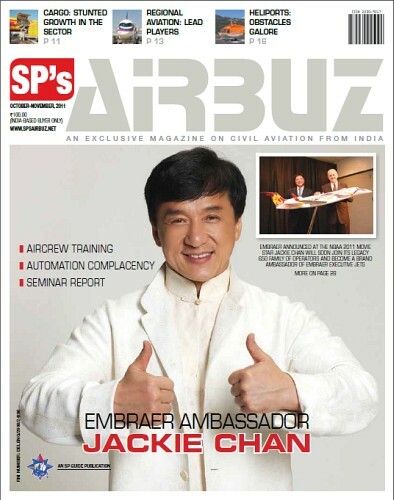 The Flying Engineer is pleased to have contributed to SP’s Airbuz from 2009 up till the first quarter of CY2014. 2014 also witnessed The Flying Engineer being quoted in certain leading national publications. Consulted for airlines, investors, and airframers. Designed, built and commissioned the world’s largest academic flight simulator solution for an engineering college. Renovated a DGCA approved flight simulator. Supplied generic flight simulators to Honeywell. Formerly with Honeywell, hold two US patents. Worked on simulators and aircraft exterior lighting. As a personal engagement – Built LED anti-collision lights for an aircraft flown by the former director of NAL. Also freelance for the only active microlight manufacturer in India. Graduate engineer. 2014 gathered 370,961 views, which is 53% of the total views since 2011 : 694,591, as on 31st-December-2014. In 2014, the site had an average of 1000 views per day. Most of the views were from India (25%) and the United States of America (18%), followed closely by the UK, Canada, France, Germany, Australia, Malaysia, Singapore and the UAE. We have however had visitors from every country in the world. The Flying Engineer however does not focus on views. It’s who visits the site that is more important than how many view the site. July: Air Costa & AirAsia India Update. August: A330NEO and its regional relevance. AirAsia India update. 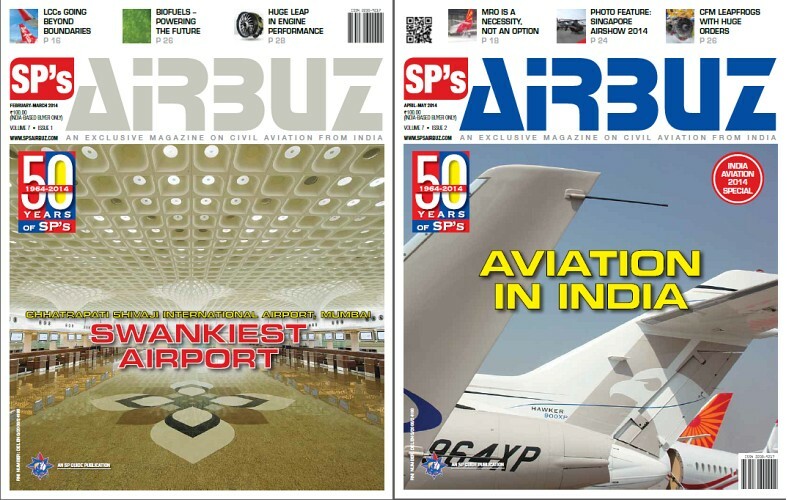 September: Scope of turboprops in India (Cover Story), AirAsia India update. October: SpiceJet (Cover Story, including Sanjiv’s interview), airline update. November: Air Pegasus (part of Cover Story), airline update. December: Split Scimitar Winglets, airline update. April-May: GAGAN: India’s first step to a Future Air Navigation System. February – March: Bombardier C-Series – A class apart, The Year Gone By (2013 review), Battle between speed and economy: Regional Jets v/s Turboprops. December-January: Revolutionizing Taxiing (Honeywell-Safran EGTS & WheelTug). April-May: Interview with Filliop Bagnato, CEO, ATR. February-March: Easy to Fly: ATR 72-600 flightdeck. Issue 6: Interview with Bangalore International Airport Limited (BIAL) CEO Marcel Hungerbuehler. Issue 4: Indira Gandhi Rashtriya Uran Academy (IGRUA) cover. October-November: ‘A320 Unravelled’ : A 320 jumpseat experience, detailed. Assumption that the PW1000 gear reduction system has a fixed ring gear in article is incorrect, as is the resulting gear reduction ratio. Referring to an actual cross sectional diagram of the engine. http://www.sae.org/aeromag/techinnovations/images/1298t10d.gif It shows the ring gear is bolted to the hub and 2 sliding seals to allow it to turn. The planet pinion has a fixed oil pressure line to its shaft bearing that goes through a seal diaphragm to connect to the nacelle support vane. Furthermore, the P&W video in the article shows that the fan hub turns in the opposite of the sun gear shaft (LP compressor/turbine shaft) which is only possible if the planet carrier is fixed, not the ring gear. This contradicts the gearbox description in article. I would be more concerned about the extreme dependence in the GE engine on new cooling and coating technologies that must work perfectly at much higher operating temperatures than the P&W engine. It will be more expensive to inspect and restore worn coatings as a maintenance process on so many more compressor and turbine blades than P&W engine has. An SAE article supports this view. My concern about the P&W engine would be that over 6000HP is being carried by each of 5 pinion gears, which also has reversing tooth bending loads. This also requires a “perfect” technology to be practical and not a maintenance nightmare. P&W states none of the gearbox parts are time limited. An amazing claim, but they have had many years to bench test it. At thes very high fan power levels, a gear failure would be catastrophic. a job very well done sir. Saw this site quite by accident. Simply amazing the amount of info and news that available. Tried to read some of the other articles mentioned but could not access. May be because I have not signed up. I have done so now and hope to read TFE regularly. How much does it cost to fly an A 320 for 30 minutes – no pax, no cargo ? How much does it cost to park an aircraft at a major international airport for 1 hour? How much does each additional 60kg person add to the cost of flying? Is there a particular weight below which and a weight above which the fuel economy doesn’t change?